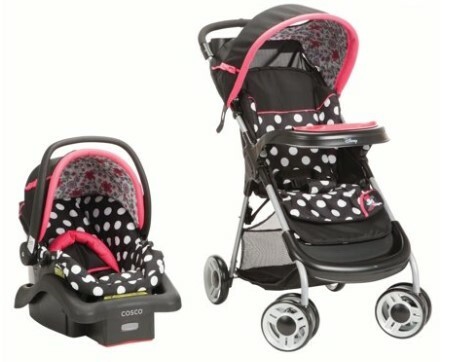 Walmart has Disney Baby Minnie Mouse Lift & Stroll™ Plus Travel System $99.99 (Reg $124) with free shipping. Featuring QuickClick®, the infant seat attaches to the stroller in one quick step for a complete travel system. The car seat has Side Impact Protection and four harness heights for better fit and a safer ride as baby grows. Parents will also appreciate the light weight of the car seat which makes it much easier to move from the car to wherever they need to be.